This is a huge online consignment site where you can find women’s clothes, shoes, accessories, and baby clothes and shoes. 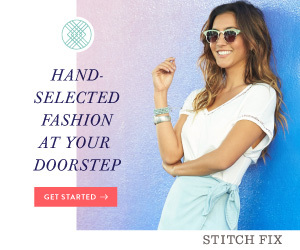 This site has clothes for shoppers of all sizes and includes clothing lines carried at places from Target to Nordstrom. They have low prices and you’ll receive $20 for every new user you refer. Win-win! This online consignment site is also a flash sale site which sells high-end designer clothes, shoes, and accessories. They carry items from brands like Gucci, Jimmy Choo, and Oscar de la Renta. In addition to their amazingly discounted prices, new members receive at $25 credit towards their first purchase. The RealReal also offers coupons discounting their high-end inventory even further! At Poshmark, you can shop brands like Gucci, Louis Vuitton, Michael Kors, J. Crew, and more. You are also able to sell your own items through the app or website. When your item sells, Poshmark will receive a small percentage of the profits, and you can either have your earnings direct deposited, sent to you via check, or remain in your account balance to put toward your next purchase. Tradesy lets you buy and sell designer clothes, shoes, and accessories. They also have a wedding section where you can find dresses, suits, and gifts. They carry designer items from Vera Wang to Chanel and Prada, and you’ll get $25 off your first purchase. If you want to sell something on Tradesy, they’ll send you a pre-paid shipping kit, and all you have to do is choose a listing from their catalog to describe the item you want to sell. MaterialWorld is a great consignment site to trade in items, and shop pre-owned and new items. Just like Tradesy, MaterialWorld will send you a trade-in kit with a pre-paid label. Once you sign up, you’ll get 10 percent off your first pre-owned purchase. If you can’t sell your item, they’ll give you the option to send the item back to you, or donate it to a non-profit called Housing Works. Unfortunately, Material World doesn’t accept men’s, children’s, or mall brand (like GAP or Zara) items. If your style is more vintage, Resee is the consignment site for you. They sell vintage pieces from brands like Calvin Klein and Balenciaga. You can also sell your own items on Resee by filling out a form, and you’ll receive a response within five days if your item is accepted. If you want to get rid of any designer handbags, sell them on Rebagg. When you submit pictures, you’ll receive a quote within 1-2 business days. Rebagg even pays you upfront, so you don’t have to wait for your bag to sell to get cash in your pocket!